OIT offers a variety of teaching tools for collaboration, video conferencing, interactive presentations and much more. 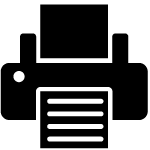 The Academic Technology Design Team offers assistance with these campus technologies through consulting and facilitating communities of best practice. Additionally, innovative classroom and lab technologies are available in over 100 technology classrooms across campus. Visit Teaching and Learning Spaces for more information. The research computing group provides support and training for computational needs beyond your desktop. Services for researchers include large-scale computing, storage of research data, high-speed networking, consulting and training, and partnering on grant proposals. To learn more about these services contact the group via rc-help@colorado.edu or through their contact form on Research Computing's Contact Us page. 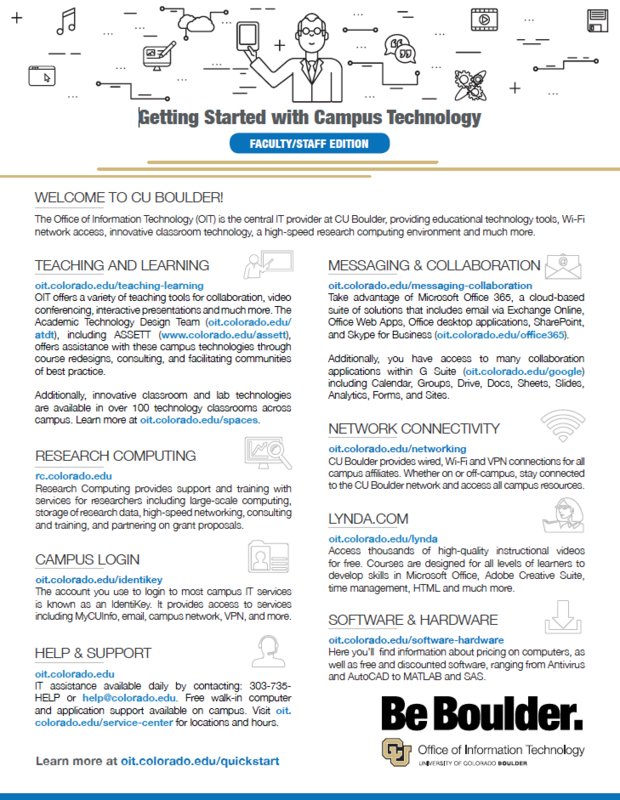 CU Boulder is in the process of implementing Microsoft Office 365 during Spring and Summer 2015 semesters, in order to bring the cloud capabilities of Office 365 to the CU Boulder campus, including upgraded Microsoft Exchange email capabilities. Additionally, faculty receive access to many Google applications including Drive (Docs), Sites, Contacts, Calendar, Chat, Groups, Analytics, and more in order to collaborate effectively in the classroom. More information can be found on the Google service page. Your CU Boulder online identity preferences are managed through the web-based service, Identity Manager. Canvas is CU Boulder’s online learning environment, providing an additional space for instruction, communication, and grading. Instructors and students can also utilize integrations to seamlessly access external applications within Canvas. Create a Canvas course today to get started. Utilizing the Network Access Control system, CU Boulder provides wired, wireless and VPN connections for all campus affiliates. 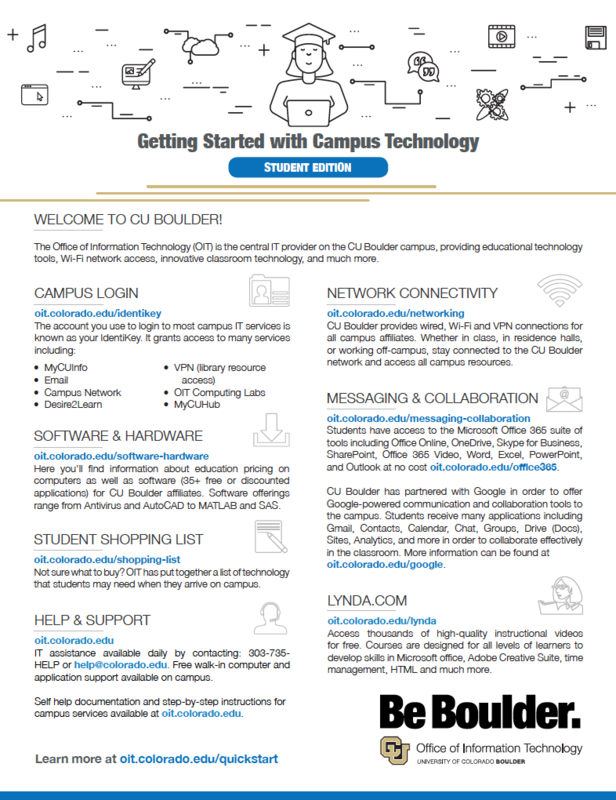 Whether in class, in residence halls, on the Buff Bus, or working off-campus, stay connected to the CU Boulder network and access all campus resources. Visit the Networking and Internet Services page for more information. On the Site License page you’ll find information about education pricing on computers as well as software for CU Boulder affiliates. Software offerings range from Antivirus and AutoCAD to MATLAB and SAS. Additionally students have access to Microsoft Office applications at no charge. IT assistance available daily by contacting the IT Service Center at 303-735-4357 (5-HELP) or help@colorado.edu. Free walk-in computer and application support available in Norlin Library or the Technology Learning Center. CU Boulder has partnered with Google in order to offer Google-powered communication and collaboration tools to the campus. Students receive many applications including Gmail, Contacts, Calendar, Chat, Groups, Drive (Docs), Sites, Analytics, and more in order to collaborate effectively in the classroom. More information can be found on the Google service page. Students also have access to the Microsoft Office 365 suite of services which includes, Office Online, OneDrive, Lync/Skype for Business, SharePoint and free ProPlus software applications. On the Site License page you’ll find information about education pricing on computers as well as software for CU Boulder affiliates. Software offerings range from Antivirus and AutoCAD to MATLAB and SAS. Additionally, students have access to Microsoft Office applications at no charge. Students have access to wepa cloud printing kiosks which allow users to print from campus labs, personal computers, mobile devices and cloud storage. All students enrolled for at least 9 credits, who sign up for a wepa account using their University of Colorado credentials, will receive $5.00 worth of free prints to use during the 2017-2018 school year. Visit the Student Printing Services page for more information. Learn the basics of campus technology with OIT's Quick Start Guide. Choose the student or faculty guide, depending on your affiliation.